"James Karales (1930-2002) was big-time in the best time but is not as well-known as he should be," argues photographic historian Vicki Goldberg. This book will change that. Early in his career, Karales began a photo-essay documenting Rendville, Ohio, an important stop on the Underground Railroad during the Civil War and one of the few racially integrated communities in America in the late 1950s. These pictures demonstrate his striking ability to capture the essential qualities of a community, are reminiscent of images made for the Farm Security Administration in the 1930s, and reflect Karales' state of mind as he grappled with the racial issues that were to preoccupy him and America for many years to come. Karales worked for Look from 1960 until it ceased publication in 1971. Among many important assignments for the magazine, Karales documented Martin Luther King and the fifty-mile, five-day Selma (Alabama) march in 1965. 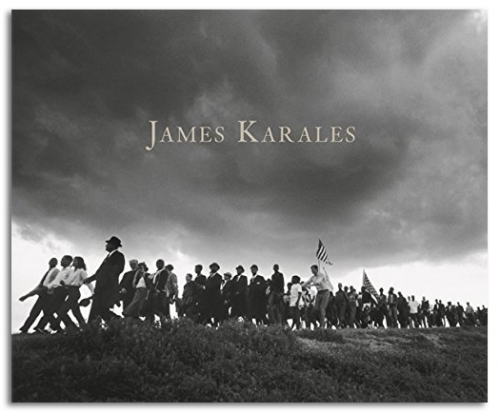 Fifteen minutes before the end of the march, the sky darkened and Karales' wide-angle shot of the protesters silhouetted against the horizon has since become an emblem of the march and has insured the photographer's place in this tumultuous period of American history. In this new publication we discover that Karales' stature as a photojournalist and social documentary photographer par excellence is based on much more than one iconic image.